Somehow, it’s March, Team. I don’t know how we got here, but we did and this month is nearly halfway over. The Ides Of March are upon us. In the spirit of a little Shakespeare, I thought I’d check in on my reading list so far this year. You may remember that one of my goals was to read at least 15 books in 2018. As of March 11, I have finished nine books and have started my 10th! 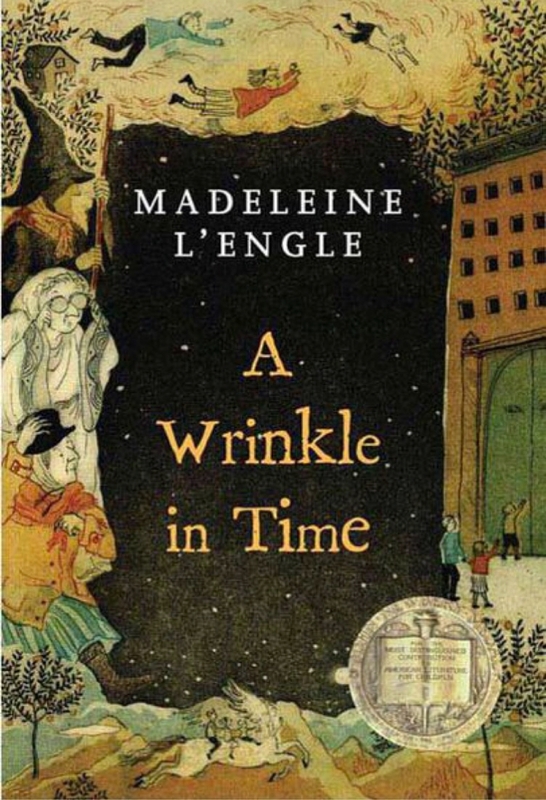 Even at 19, she was already a better writer than just about everyone else. I’m grateful we have her words left to us. It’s rare to find a book – by a politician, no less – that manages to eat at every corner of your heart. 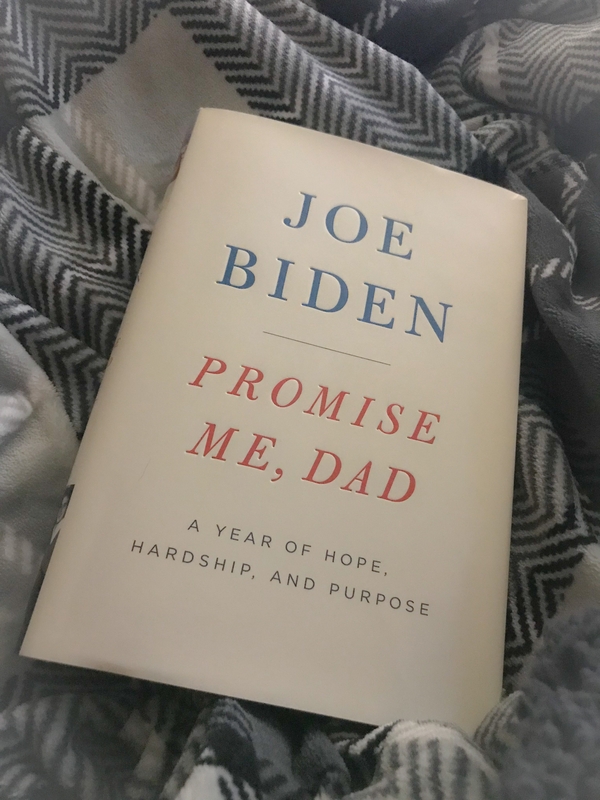 Joe Biden’s memoir of the last years of his son’s life, juxtaposed against the responsibilities and pressures of the vice presidency reveals a man who’s most important duty in life is to care for people around him. It’s vulnerable, it’s genuine, and no matter your opinion of him politically, it’s hard to deny the honesty with which he addresses tragedy and loss. Grief is a universal language and it knows no political affiliation. “Promise Me, Dad” is a meditation for those in mourning and a vision for a brighter future. Thank you, Joe, for sharing your grief in such a beautiful way and for reminding us that we all have something to work and hope for. 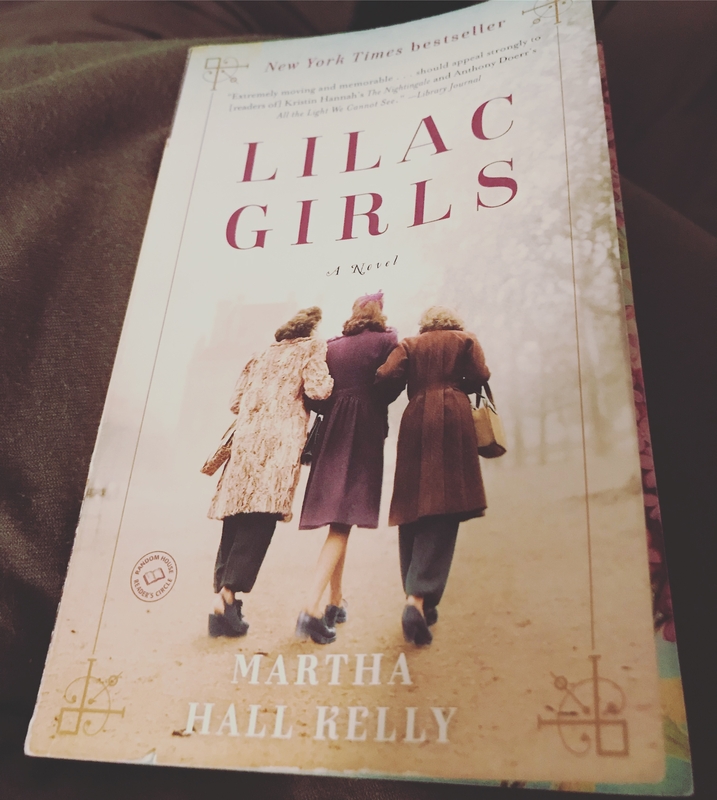 If you enjoy historical fiction, the WWII-era, and the complex emotions woven throughout our collective memory. 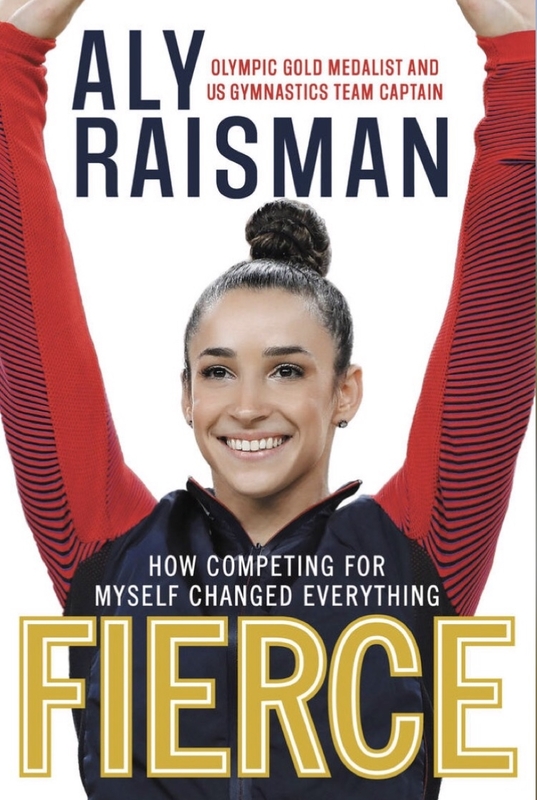 I’m a sucker for sports memoirs, and Aly’s Fierce met all my expectations. I’m so proud to see the voice she’s found and the courage she’s shown, not only in the last few months surrounding the Larry Nassar trial, but also in her career. She’s an impressive young woman. 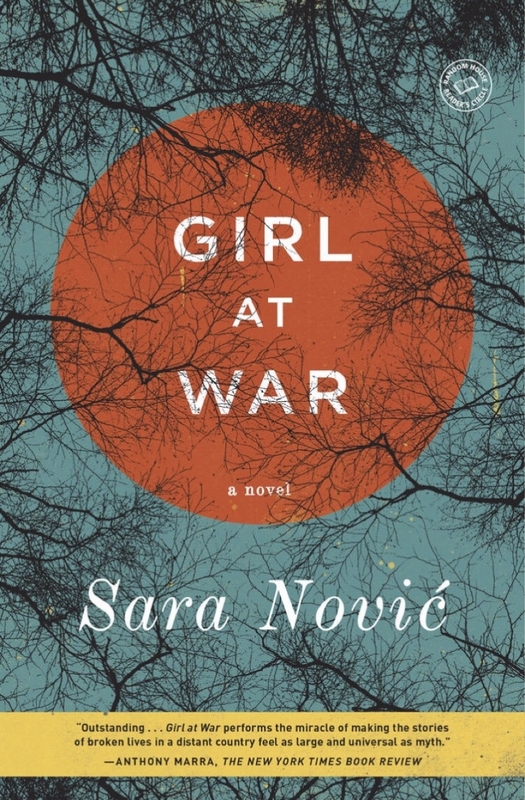 Sara Nović’s Girl at War is an incredibly vivid account of the Balkan Wars of the early 90s. I’ll admit, I know shamefully little about this period of history, and this story gave me some incredible perspective. For as much literature as there is about the Holocaust, it’s easy for us to say “but that was so long ago…” – the same types of things were happening in Croatia, Bosnia, Serbia, and the other nations that made up Yugoslavia not even 30 years ago. The same things are happening now in Syria. In Myanmar. We still have so much to learn. I decided I wanted to read some Shakespeare that I haven’t read before, and somehow I graduated with an English degree without having finished Macbeth. Done and done. I enjoyed this one, though not as much as King Lear, if we’re picking favorites. 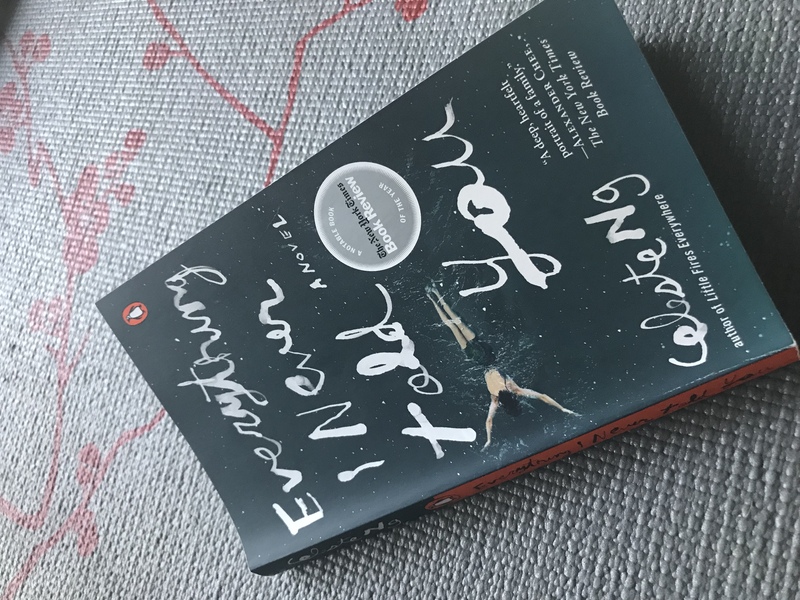 This book made my heart happy and sad at the same time. It takes place in Alaska and reading it felt like home. But the characters’ experience made my heart ache. 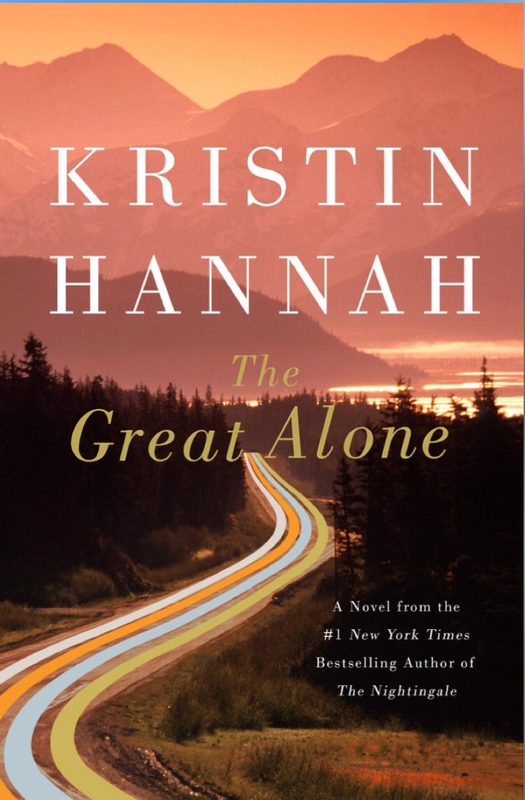 It’s a beautiful story about the wilderness and the wildness of Alaska and humanity. Again, not sure how I have an English degree because I only just read this book. I loved it. 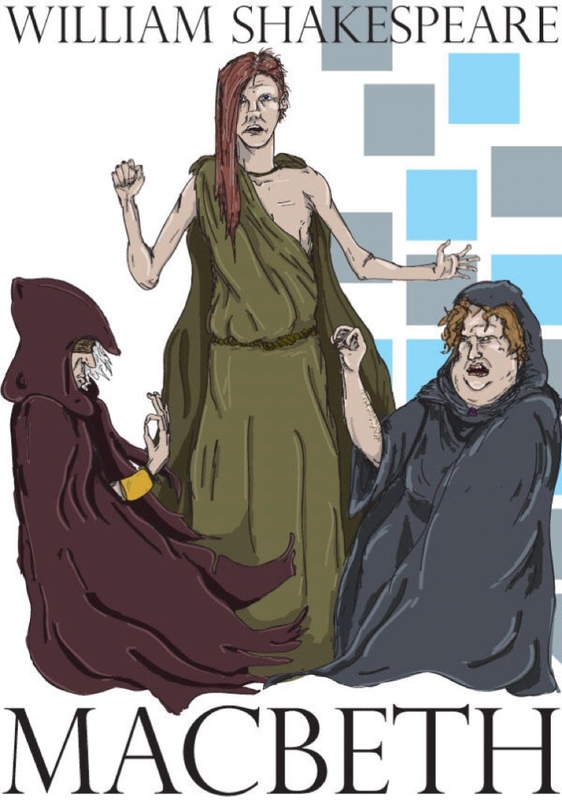 A young female protagonist saves her family? Yes please. I so badly want to see the movie now, too. Number 10 is Leading with the Heart by Mike Kryzewski – one of my favorite coaches and sports minds. I figure March is the perfect time to crack this one open. I’m well on my way to meeting my goal, but I could always use more suggestions! What books are you currently reading? This entry was posted in Fun stuff and tagged aly raisman, books, carrie fisher, celeste ng, joe biden, kyle, reading. Bookmark the permalink. Oh my gosh, you are slaying your reading goals! Awesome, awesome, awesome! And I’m so glad that it’s March. Now we just need to get the proper weather going. I’m currently reading a book that one of our twitter friends sent my way, Mirna Valerio’s A Beautiful Work in Progress. I just started it last night and it’s great so far. It reaffirms the fact that I love books way more than my kindle and I need to get myself to the library more frequently. I love books more than my iPad, too, but I don’t have a good reading light for nighttime, so I end up reading more on the electronic, because I don’t have to stay awake to turn off a lamp. I’m all about sleep efficiency. Hahaha. Bestie sent a fun book called Bad Girls Throughout History: 100 Remarkable Women by Ann Shen. A quick easy read but so much good stuff! This sounds like something that’s right up my alley. I may have to find this one! 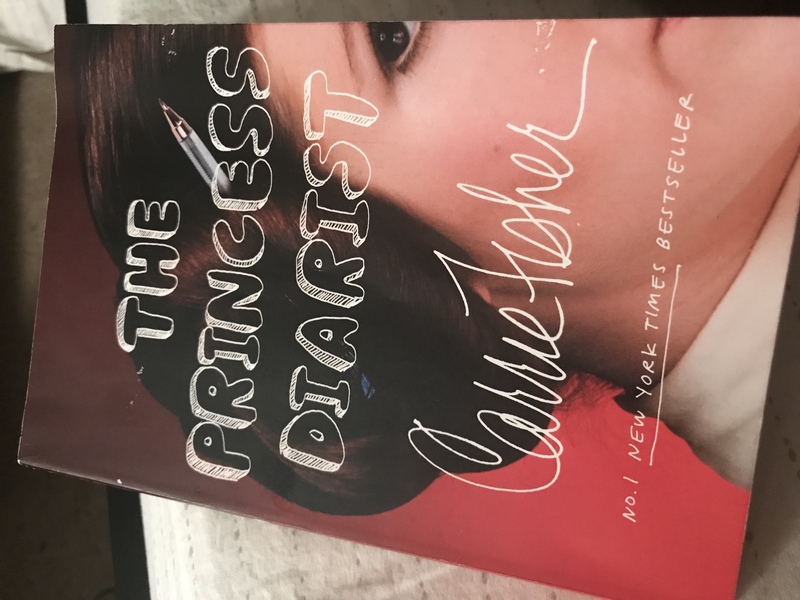 I loved The Princess Diarist, I listened to the audiobook and Carrie narrated it herself. I just finished the three books that are in the Wayward Children series by Seanan McGuire. Super quick reads but she’s created some amazing worlds! I know – I have the audiobook too. I love it. Obviously. I just finished Annihilation – the book on which the movie is based. It was INTENSE. Sci-fi/fantasy/horror/mystery… page-turner for sure. I’m on to the second book in the trilogy. I hope it’s as good as the first!